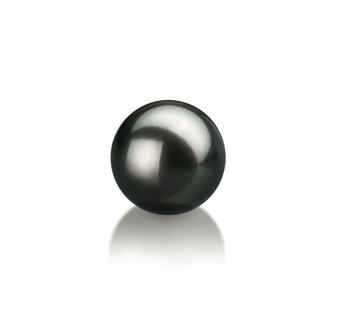 Interesting and desirable, the 8-9mm Japanese Akoya loose Pearl is a vision of glistening perfection. The AAA mirror like luster shows off its high quality gloss that spans the surface of each pearl. Over the AAA slightly out of round shape, the pearl is a beautiful silky to the touch pearl that glisten with the quality of the luster. This is a high quality loose black that goes well in a ring or pendant setting.